Experience your TV in a whole new way. The Air Mouse is designed to make your TV experience simpler and smoother. No more searching for content on your phone to enjoy it on your TV. 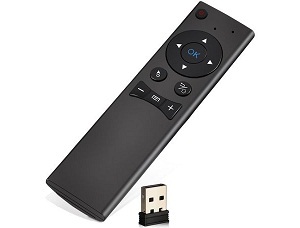 The remote is back, and it’s better than ever! 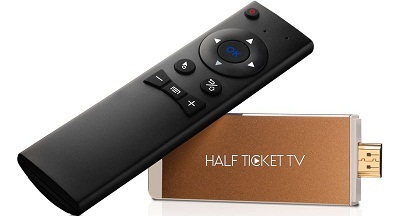 HALFTICKET TV is the only media centre you need! With USB, MicroSD & HDD support, you can now watch all your downloaded movies, videos on the TV or share vacation photos with the entire family. 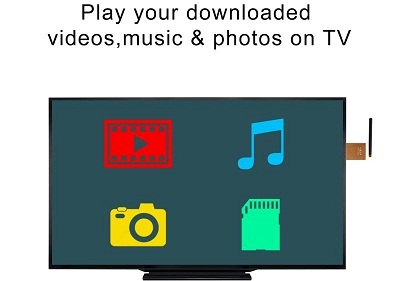 Mirror your phone or tablets screen on your TV and enjoy videos, music, photos, browse the internet or play games on your TV! 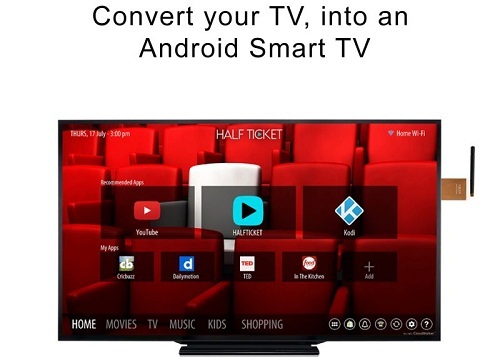 Whether you love online shopping, watching videos on Youtube, listening to songs online, you can do it all on your TV for a larger than life experience. Why burn a disc or transfer files to a pen drive when you can watch the videos directly! With DLNA support, you can stream the videos stored on your multimedia devices onto the TV wirelessly. With 8GB inbuilt storage and microSD card support, all your favourite movies and videos can now be stored on the Half Ticket Smart Stick. With an intuitive user interface and full HD 1080p support, watching videos is a treat for your eyes. The Quad-Core 1.5Ghz CPU and 1GB RAM make data streaming real fast. Along with a fast internet connection, the performance is what makes the difference. 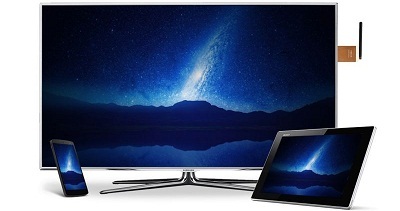 Now, all you need is a HD TV, TV USB port and a Wi-Fi router to make your TV smart.